The Westinghouse MO-8 (some say OV-8) once lit NYC streets by the hundreds or perhaps thousands from 1962 to 1972. 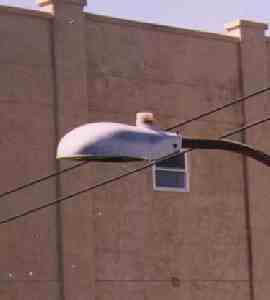 Known as “open-bottom” or “cutoff” luminaires, they were designed to illuminate residential or side streets without a glass reflector bowl in a somewhat dim, greenish white glow. They were the counterparts to the Westy OV-25, which had a reflector bowl and were employed on main streets. Throughout the 1960s, they battled for supremacy on NYC streets with the General Electric M-400 (diffused) and M-250 (cutoff) lamps. 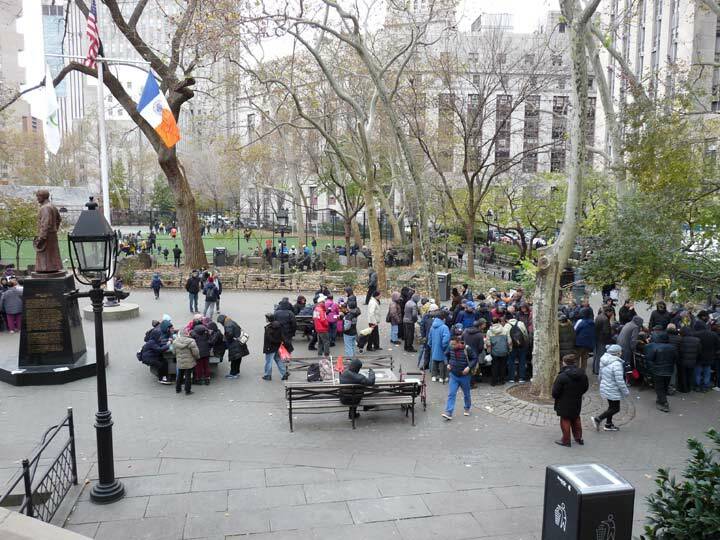 Though their demise began as early as 1972, when yellow sodium lamps began their lengthy reign, examples were relatively frequent until 2009, when the NYC Department of Transportation installed new models of an updated GE M-400 on virtually every lamp in NYC. Today, only six years later, they are succumbing to the new light-emitting diode (LED) lamps, which shine a brilliant white. Today,only one MO-8 that I know of remains n NYC, on a semiprivate road called Cornell Lane, just off Northern Boulevard east of Marathon Parkway. It still lights up at night in greenish-white. How much more service does this classic have left? The mercury vapor lamps gave off an unnatural light. The sodium vapor lamps were a vast brighter improvement. 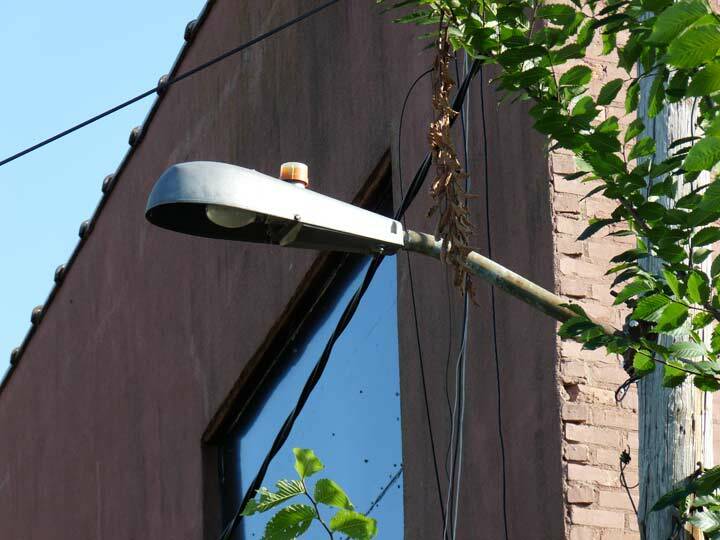 The city hasn’t gotten around to installing the new LED streetlights in my part of Staten Island except for a handful of new streetlight installations. I still remember those greenish-white lights on our street. On summer nights, their spooky glow coming on was a reminder for all the neighborhood kids to stop their all-day outdoor play and come home. Here in Winnipeg Canada as well. They had that distinctive buzz until they warmed up. I remember how the snow looked falling under those light.